TOPICS:Eye Protection - Perspex or Mesh? Goggles – What do I go for? Perspex vs mesh? Eye protection is a big topic to cover as fogging is a real issue that every player has experienced or will experience. If you’re a new player, you’ll probably experience it in the first few games before you realise that its a problem to be addressed. (We still get problems fogging and the team have had a combined 20+ years of playing!). For most people with a limited budget, the way to skip the fogging issue is to get a mesh mask or mesh goggles, and they’re cheap, a set of mesh goggles may set you back as little as £15 and people swear by them, and I’ve used them for many years without issue. The main thing that mesh goggles defeat is moisture builds up which is brought on by sweat. Sweat is an airsofters worst nightmare when it comes to eye pro as it fogs up goggles that aren’t properly ventilated. I sweat. A lot. Enough to melt the glue off goggles I’ve owned, yet I still want to have glass/perspex. why? well there are two reasons, the first is that when playing CQB against people using tracer bb’s they can shatter on your mesh mask and the shards of that bb do end up in your eye, now their not big pieces so don’t blind you but you’ll probably sit in the safe zone for 5 mins to rinse your eye out. buyer be warned. The second reason is that in low light situations especially you will notice that your vision is not as clear and it can be hard to see properly through the mesh at times. 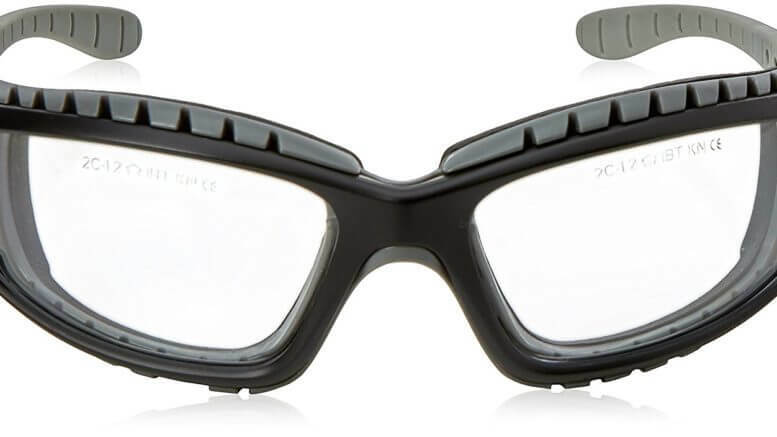 Heroshark make really good thick strong mesh goggles with slightly larger holes to let in more light and these are a pretty good middle ground. another option is the fencing style full face mesh mask and whilst never having used one myself I have heard good thing from a lot of newer players as its full mesh face and it’s easy and quick to put on and take off. Another option for those of us who sweat are fan goggles, they come in a couple of varieties to suit different budgets. FMA do some fan goggles which have received mixed reviews, I would suggest looking at a couple of YouTube videos and make your mind up. the other options are to go for some Smith Optics OTW (outside the wire) fan goggles and the ESS turbofan goggles which are considerably more expensive than the FMA, however, have better de-misting capabilities and quieter motors. you don’t see many people using fan goggles due to the noise and usually the cost as there are cheaper anti-fog solutions out there. Ballistic goggles are used widely in milsim due to the long periods of time people are required to be “in-game” up to 48 hours for some UK events. Rather than have everyone drop out with tension headaches after 8 hours, they allow some flexibility & it is assumed that the player base is also more experienced & therefore more responsible. It only takes 1 BB to blind you for life so I stick with “full seal” eyepro as I like being able to see clearly when I’m playing. So what about if you wear glasses to see and you need to be able to cover those as well? Well, all of the above goggles usually have a low profile and a glasses friendly versions so make sure you check before you buy. something else to consider if you wear glasses is that you will have your glasses over your ears, same as your eye pro (most likely) then maybe a hat or a helmet to hold it all in, it can get uncomfortable pretty quickly and so getting goggles with a thick comfortable strap may want to be more of a consideration for you. 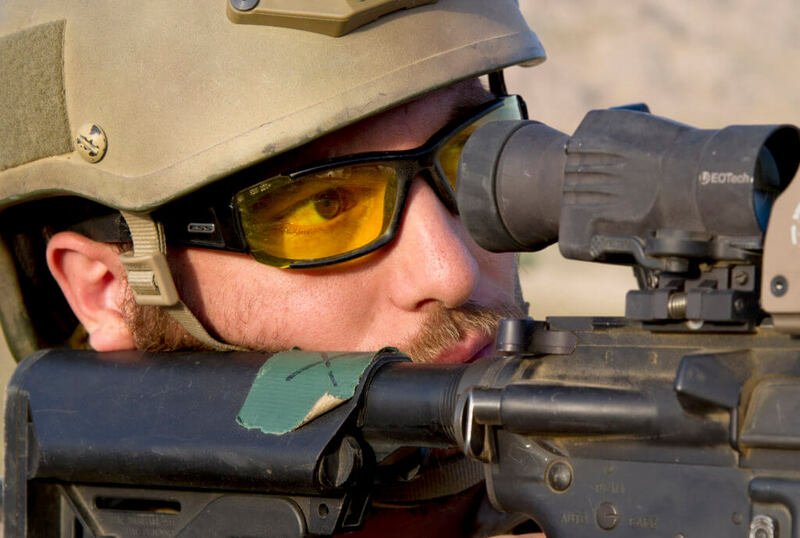 Be the first to comment on "Airsoft Equipment – Eye Protection – Perspex or Mesh?"